Earlier this March, our GeForce GTX 1080 Ti review opened by noting that 2016 was a banner year for NVIDIA, with their execution in multiple fields resulting in record revenue. 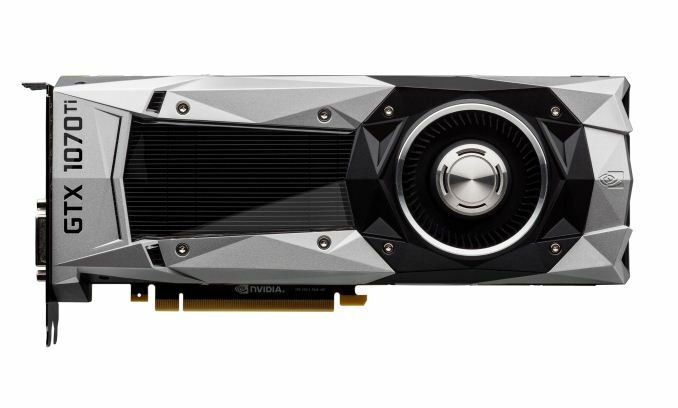 We mentioned all this not only because of the capstone nature of the GeForce GTX 1080 Ti, but also in how the card positioned NVIDIA for the rest of the year, running up the score alongside the GeForce GTX 1080 and GeForce GTX 1070. Since then, what has changed? From AMD, we’ve seen the April release of the Polaris-based Radeon RX 500 series, still aimed at the mainstream market. And then finally in August, after teasers, architectural overviews, and a Frontier Edition or two, AMD launched their high-end Radeon RX Vega 64 and 56 cards, roughly targeting the GTX 1080 and 1070 respectively. So only the last few months have seen the first challenge to NVIDIA’s 1-2-3 position this generation. Launching today, then, is the GeForce GTX 1070 Ti, announced last week when it was first available for preorders. As the third GP104 based GTX 10 series card, the GTX 1070 Ti comes 16 months after the release of the GTX 1080 and 1070, falling between them in price and performance. The end result is a shoulder-to-shoulder three card stack, all based on a Gx104 GPU, something that NVIDIA rarely offers historically. As a later-cycle product, the card also conspicuously follows on the back of AMD’s reentry into the high-end graphics space with RX Vega, and in that vein NVIDIA is comparing the GTX 1070 Ti to the Vega 56 directly. At the time of their Vega launch, AMD matched up the Vega 64 against the GTX 1080 and the Vega 56 against the GTX 1070. Although the GTX 1080 Ti continues to rule the roost, in August we saw the air-cooled reference Vega 64 trade blows with the GTX 1080, while the reference Vega 56 edged out the GTX 1070 by around 8%, albeit with greater power consumption. In aiming at the Vega 56, the GTX 1070 Ti is angling at reversing that performance advantage. As for the GPU itself, described earlier at last week’s announcement, the GTX 1070 Ti has GP104 as a 19 SM arrangement, four more SMs than the GTX 1070. This is combined with the GTX 1080’s higher 180W TDP, the GTX 1070’s GDDR5 memory and bandwidth, and clockspeeds somewhere in between. While the GTX 1070 Ti’s additional SMs provide more shading, texturing and geometry resources than the GTX 1070, this is balanced out by the memory bandwidth and ROP throughput staying at the same level. Consequently, the GTX 1070 Ti is setup to fare better in compute-bound games thanks to the extra SMs, as opposed to bandwidth- or ROP-intensive games. By the numbers, the GeForce GTX 1070 Ti offers 19% more shading/texturing/geometry throughput than the GeForce GTX 1070, paired with no change in ROP throughput or memory bandwidth. Or to compare things to the GTX 1080, the GTX 1070 Ti offers 92% of the GTX 1080's shader/texture/geometry throughput, 97% of the ROP performance, and 80% of the memory bandwidth. For performance then, going by NVIDIA’s numbers, the GTX 1070 Ti is promoted as being around 15% faster than the GTX 1070 but 8% slower than the GTX 1080. Whatever the real-world performance difference might be, the GTX 1070 Ti price is roughly in the middle between the GTX 1080 and 1070. NVIDIA’s Founders Edition is statically set at $449, but the official MSRP starts at that point, presumably going no higher than the low ceiling of $500 or so where GTX 1080 cards come into play. While it is notable that the GTX 1070 Ti Founders Edition doesn’t carry the traditional Founders Edition price premium, even a $50 premium would collide with $500 GTX 1080 models. And an MSRP at any lower price points would bump into the GTX 1070. Given the narrow price and performance window that the GTX 1070 Ti is attempting to squeeze into, all GTX 1070 Ti boards are shipping with the same 1607MHz base/1683MHz boost reference clocks and overall, the number of SKUs will be more limited. The obvious consequence of factory overclocked GTX 1070 Ti’s is that those cards would overlap GTX 1080s on price and potentially performance, thus cannibalizing and competing with NVIDIA’s own products. Which begs the question as to why NVIDIA would force the issue in creating such a tightly-packed product lineup in the first place. Looking at the pricing, performance, and positioning, it is clear that NVIDIA is shoring up their stack against any kind of AMD incursion. In particular, AMD was able to position the reference Vega 56 above the GTX 1070, but a GTX 1070 Ti now blocks that kind of encroachment with minimal collateral sales damage, provided that the card stays in between the GTX 1080 and 1070 in both price and performance. 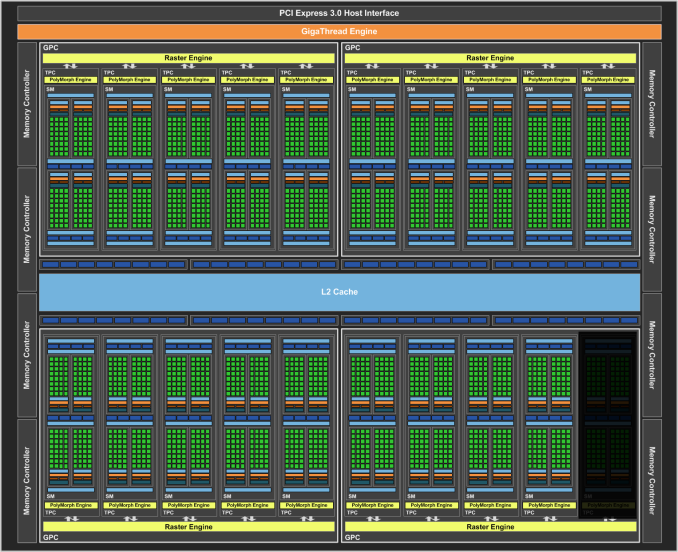 In any case, NVIDIA is still pushing the card as a good overclocking card, but without factory overclocks, leaving it to the consumers to overclock with the usual third-party utilities. Thereby, they can avoid factory overclocked designs that could outright undermine the GTX 1080, but still market the overclockability. Incidentally, by having to stick so closely in the $449 - $500 range, AIB partners may not have the margins to offer over-engineered and costlier custom designs that would attract overclockers. And given the tightness of the price bracket, it may not be economical to test and validate truly high-clocking boards, only to sell them at significantly reduced margins. While some partner cards are advertising higher boosts via first-party utilities, or in the case of Zotac, "Factory Tested OC," at the moment it is unclear what those exactly mean. As a counterpoint, because the GTX 1070 Ti is utilizing GP104 and at the GTX 1080's TDP of 180W, partners can and are reusing their existing GTX 1080 designs, much like NVIDIA has done with their reference GTX 1070 Ti Founders Edition, as we will soon find out. Another factor that Ryan brought up last week was chip yields of the GPU itself. After 16 months of yield improvement at TSMC, GP104 GPUs fabbed on the mature 16nm FF process may not have as many defective SMs as they used to. After all, NVIDIA and TSMC were able to fab the gargantuan 815mm2 GV100 with high enough yields to be commercially viable. And GP104 happens to be a GPU that pops up in a number of places outside desktop GeForce graphics cards, including notebooks, Quadros, and even in mining cards as P104s. And on that note, cryptocurrency mining demand has drastically affected graphics card supply and demand this year, actually leading to the creation of mining-specific cards. Even NVIDIA’s cards, which typically are less efficient or performant at cryptomining than AMD’s, have gone through shortages this year. Cryptomining continues to have an impact on prices and availability. 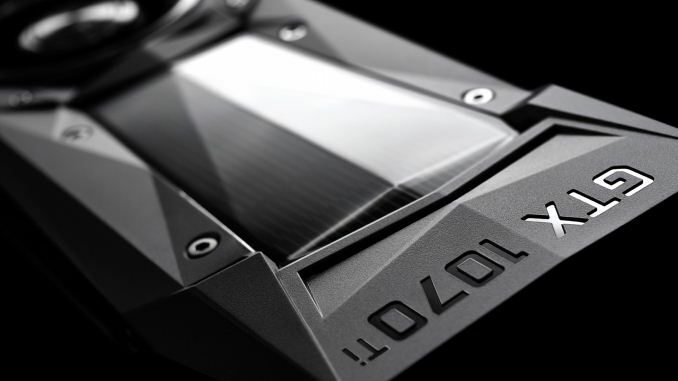 But where the GTX 1070 Ti stands for miners is a bit of an open question; the GTX 1080 continues to be hampered by its GDDR5X memory as it cannot be fully utilized by Ethereum, but the GTX 1070 Ti does not offer memory bandwidth improvements over the GTX 1070. Ultimately, the starting MSRP is $449, where the Founders Edition is priced at, and a number of custom cards are available today from partners. Looking at the prices, $449 is unsurprisingly where partner blower cards fall. While only a few GTX 1070 Ti's touch the $499 mark, this puts it very close to custom design GTX 1080s; at the time of this writing, the MSI GeForce GTX 1080 Armor 8G and Duke 8G are priced at $509, excluding the Armor 8G's current $10 rebate that brings it down to $499. At the same price of a custom cooled GTX 1070 Ti, consumers may also buy custom cooled GTX 1080s. So custom GTX 1080s do drift down here, and partner GTX 1080 blowers are commonly found in the low $500s as well. 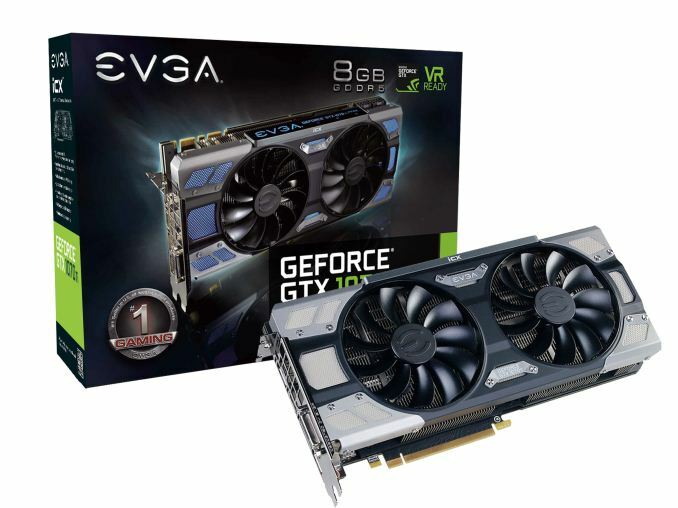 As for high-end GTX 1070s, EVGA GeForce GTX 1070 FTW Hybrid and standard Hybrid are both at $500, with liquid cooler and fan hybrid cooling system. As for the competitive landscape, the GTX 1070 Ti is squaring off with Vega 56. Aside from price and availability, the GTX 1070 Ti has the advantage of launching with custom partner cards, whereas partner RX Vega cards have yet to hit the market. RX Vega 56 is currently only available with a reference blower, which may not be an ideal matchup against custom designs. But for today, we are looking at the GTX 1070 Ti Founders Edition, pitching reference card against reference card.